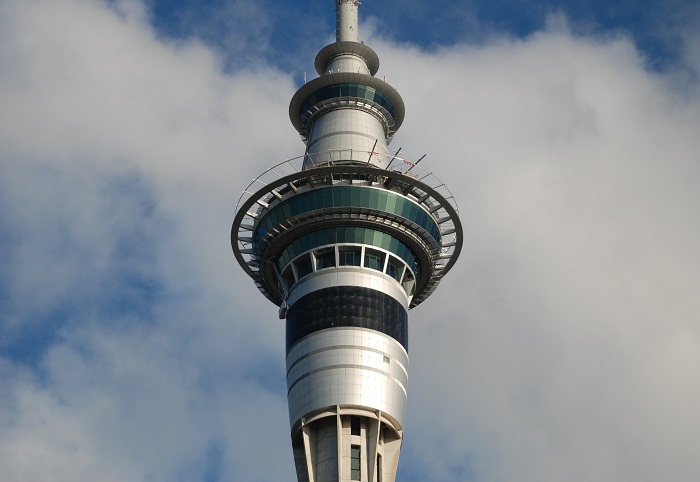 The Sky Tower is a tall observation and telecommunications tower that serves as a prominent landmark of the largest city of New Zealand, Auckland. 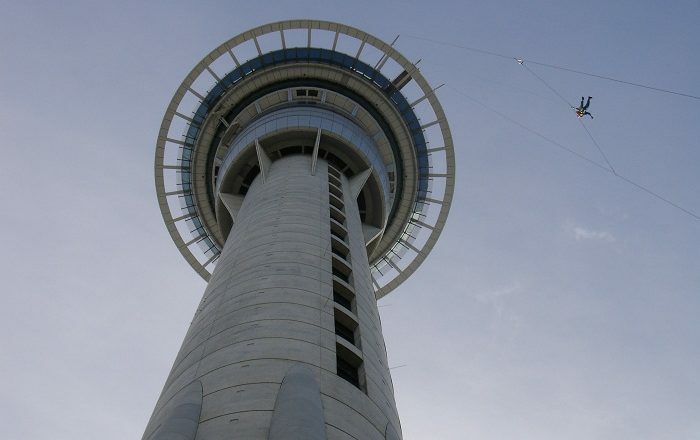 Serving as the tallest man-made structure in the country, together with the antenna spire it is 328 meters (1,076 feet) high, while the top floor is standing at 222 meters (728 feet) above the ground. 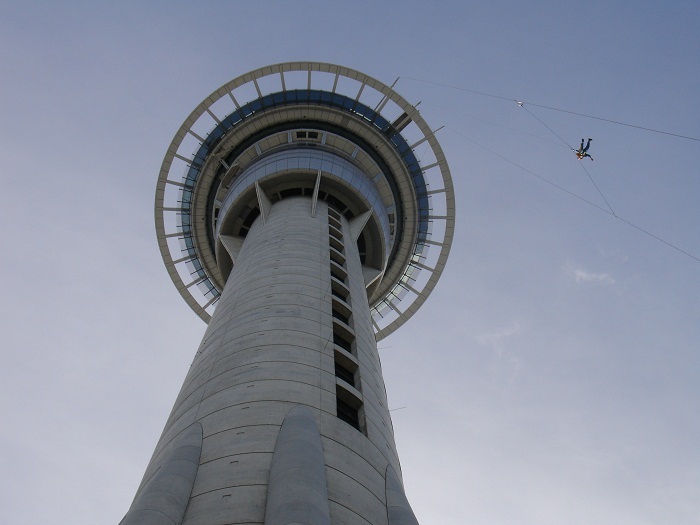 Designed by Craig Craig Moller Ltd. for the Harrah’s Entertainment Corporation, the Sky Tower began being constructed in 1994, with the official opening on 3 August 1997. 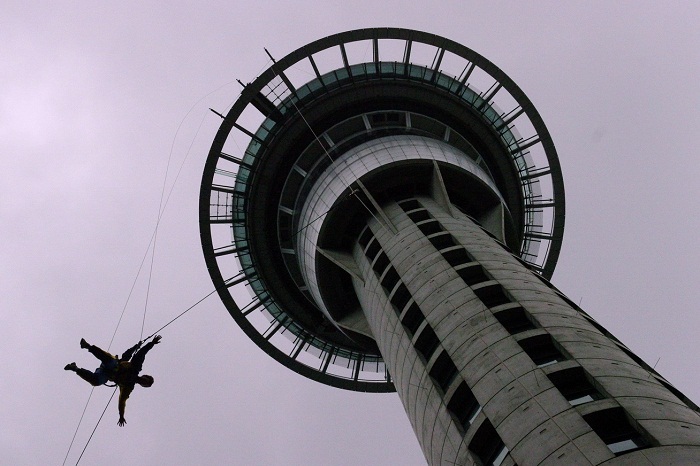 This landmark of New Zealand’s North Island has several upper levels which are accessible to the general public, such as the Sky Lounge, the main observation deck that offers panoramic views up to 80 km (50 mi) in every direction, the Orbit 360° Dining, the Sugar Club restaurant, SkyWalk and SkyJump, and the Sky Deck being the highest one. 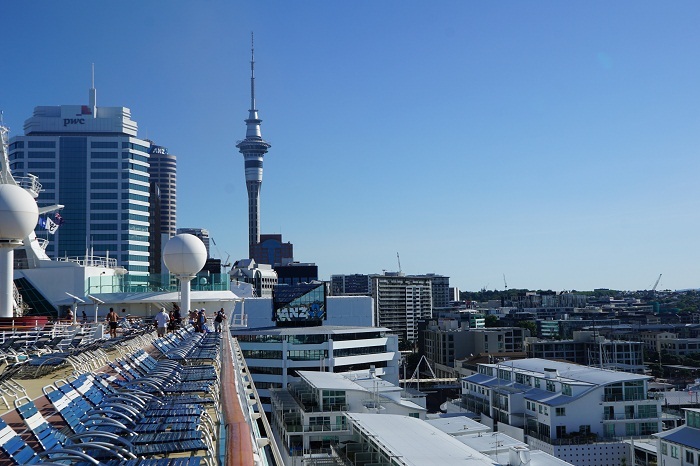 Key landmarks, volcanoes and other historical locations that are in the vicinity of the greater Auckland area can be spotted if the weather is nice, nonetheless, at the base of the tower are located two hotels, just in case someone wants to stay closer to this grand structural giant. 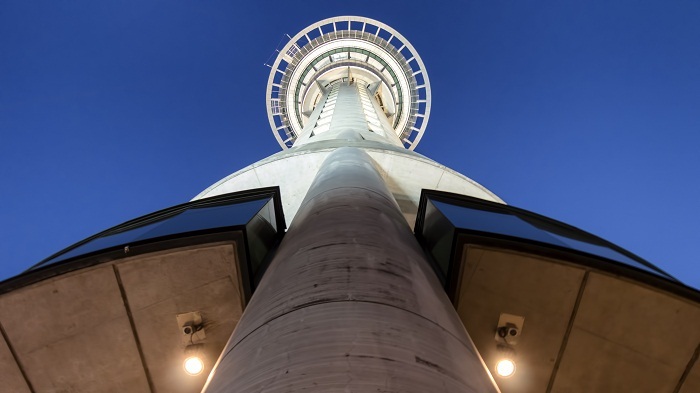 Still, designed to withstand wind in excess of 200 km per hour (120 mi per hour), the Sky Tower can sway up to 1 meter (39 inches) in excessively high winds, which makes it very safe. 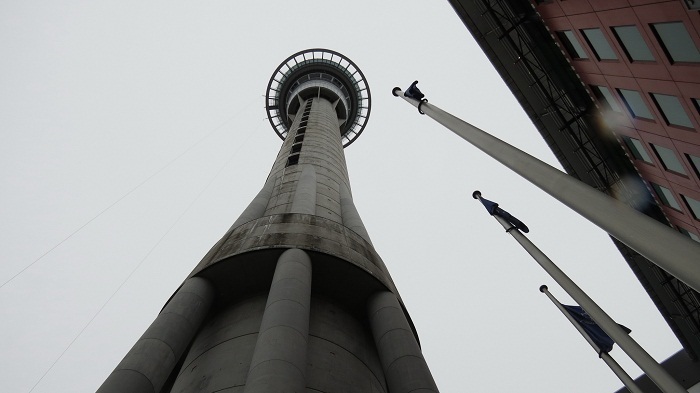 There are four elevators that can be found within the structure, which have installed special technology to detect movement that instantly slows them down in order to get passengers safer to the top or bottom of the tower. 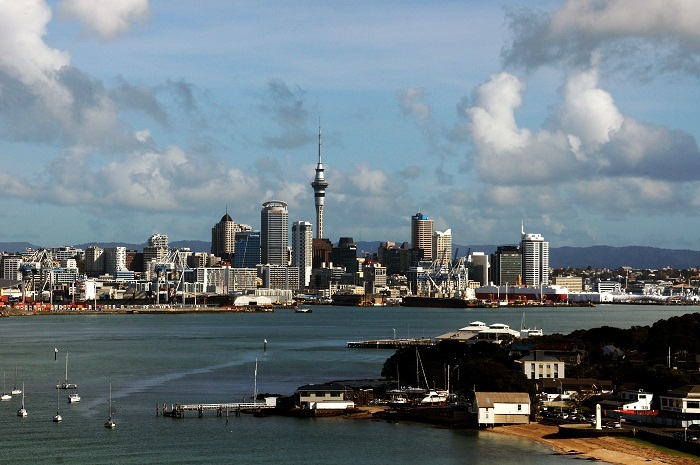 All in all, plenty of people are going to Auckland to enjoy in the amazing vistas offered from the tallest point in the city, where for a bit more thrilling and exciting experience, they walk round the pergola, or even jump off the tower.